Best Pool Alarm Reviews 2019 - Find out The TOP 9 Choices! Pool alarms are the new rave in pool safety today. Some states even require the installation of pool alarms on pools that do not have an automatic cover. But even when it is not required, buying a pool alarm is a sensible safety precaution. Pool alarm reviews can help you choose the best pool alarm for your home. Pool alarms, as the name implies, will warn you when there is a problem in the pool’s surface. It acts as your warning device if someone or something falls into your pool. As most pool accidents happen with children and pets involved, it is wise to have a pool alarm installed in your home. While it is not literally a device that is designed to save lives, a pool alarm will help you prevent any untoward incidents from happening. You will know when something fell on your pool and you can swiftly respond to it. Buyer’s Guide For The Best Above Ground Pool. The key benefit of having a pool alarm is safety. While it may be obvious, it is still necessary to point out why you need a pool alarm. One of the key tasks most parents face is ensuring the safety of their children. This means that you have to take all safety measures just to ensure that your children are safe at all times. It may be hard to keep your eyes on your children at all times, especially when they are keen on trying to break away to try your pool even without you. But there are things you can do to assist you in this task. Something as simple as setting up a pool alarm should give you peace of mind. There is no denying it. Pools have the ability to attract a child’s curiosity. Even your neighbors’ children can fall prey to your innocent pool. Children can toss their toy to your property and straight into your pool by accident. Even when your property is fenced off, children can still find a way around it. An unsupervised pool can lead to drowning, no matter if it is your child or not. Drowning has been reported as the second leading cause of accidental death and injury to children 14 years old and below. With pool alarms, you will be alerted right away of emergencies. Not only children are in danger around pools. Even pets can fall victim to it. There are times when pets can also accidentally fall into your pool. It may be heart-breaking to see someone who has been a part of your family die because of an unfortunate event. You may think that a fenced pool is enough to keep your family safe. But if you have as much as invested in this safety measure, why not up your game by installing an alarm system for your pool? Even the smallest of children can find their way around fences or gated pools. And once they do, there is a lot of chance that a tragedy can happen next. Pool alarms can increase the security of your pools. However, it is with a vigilance that you can absolutely protect the safety of your loved ones. It will be tragic to see someone die when you know there was something you could have done to prevent it. Lifebuoy is a well-rounded pool alarm and is a great system to alert you when someone is using the pool without your knowledge. The instruction manual is long and a bit confusing to follow. You can, however, watch the video tutorial on the app. The alarm can get too sensitive at times that even accidentally dipping your feet in the water may cause a loud siren blare. This pool alarm is tamper proof and always on alarm mode. The alarm will go off when it is removed from the pool and it cannot be deactivated. If you would like to use the pool, you can simply remove it and put it in sleep mode. It will wake up after it is installed in the pool. The alarm comes with a remote receiver that will work up to 200 feet away from the pool. It also has a low battery indicator that will let you know if you have to replace its 9-volt battery. 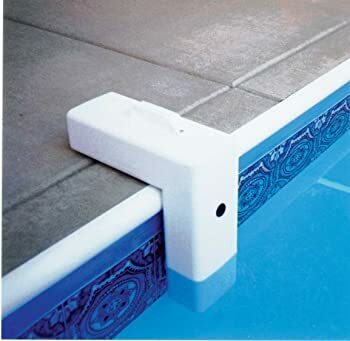 May sit nicely on your poolside without drilling a hole as long as you have even pool deck surface. The new sensing technology reduces the chances of false alarms because of rain, wind, or small objects. The alarm goes off easily. It may be hard to put the alarm on or remove it without triggering it. It is not water-proof so you may need to secure it to your poolside to avoid immersion. A straightforward yet effective pool alarm is what Blue Wave wants to achieve with thisNA4212 Poolwatch alarm system. This is an NSF certified pool alarm that receives a lot of compliments from parents and homeowners. It has an electric sensor, which is the one responsible to detect movements in the pool water. One thing that a lot of customers love about this is that it is small and almost unnoticeable. Therefore, you can easily put it in any area of the pool. 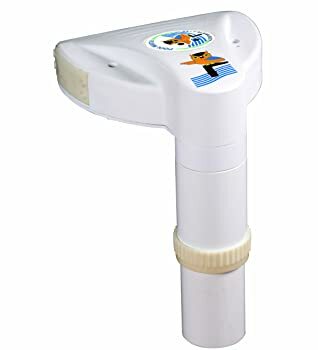 This pool alarm floats on the water’s surface and will be activated due to waves produced by falling children or pets. 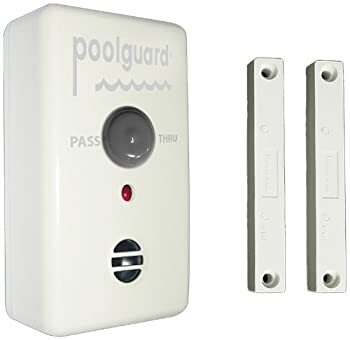 When water touches the sensor of the pool alarm, the alarm will be triggered both on the pool and from the remote receiver. It has adjustable sensitivity that will only be activated when the size of a child or pet falls into the water. Ideal for both in-ground and above-ground pools. Easy to set up and does not require installation. Corrosion-resistant so it is designed to be used for many years. It can be highly sensitive as the alarm will be triggered once water touches the sensor ring. The alarm needs to be turned off both on the pool alarm and the remote receiver. If you have an above ground pool and want a pool alarm system that is specifically designed for above ground pools, then this is a great product for you. PoolGuard PGRM-SB Pool Alarm is an alarm system that also works well in hot tubs and Jacuzzis. This also uses the subsurface detection technology to alert you when someone falls into the pool water or when a person is using the pool without you knowing. Its subsurface detection technology is a technology approved by the CPSC or Consumer Product Safety Commission. Not too sensitive; alarm doesn’t work when the movement is just caused by rain, wind, or just small objects that enter the water. The alarm has an annoying loud siren. It’s a bit of a hassle when turning off this alarm; sometimes the remote doesn’t work. This pool alarm can be used on any outside door, gate, or screen that allows you to have access to your pool. The alarm will sound 7 seconds after the gate is opened. The alarm will not allow you to leave your gate open for children to pass through. It comes with a feature that allows adults to pass through without sounding the alarm. It has an audible low battery indicator to alert you when your battery is running low. It comes with a sensor switch, 6 feet of hook up wire, and sensor magnet that is designed for gates. It has a water-proof design that is perfect for outdoors. Has safety function for kids. Requires you to close the gate behind you so the alarm will not go off. The alarm is very loud. Protection is limited to when the door or gate is opened. You may need to buy several pool gate alarms if there are several points of access to your pool. This pool alarm is designed to monitor the entrance to your pool area. The 110 dB alarm sound will be activated when the magnetic contact is broken. You will need to press the bypass button upon entry so the alarm will not go off. It comes with two sensors so you can open your glass door while leaving your screen door closed without deactivating the alarm. The alarm will sound once you open the door. Once the alarm goes off, it will only be turned off by pressing the bypass button. If you press the bypass button before entering, you have 10 seconds to close the door behind you or the alarm will go off. Has safety features for small children. The second set of sensors allows you to open your primary door while keeping your screen door shut. While it is good to have two bypass buttons that you can install inside and outside of your door, it may not be a useful tool as thieves can deactivate the alarm from the outside. May require some mounting skills. This pool alarm turtle will work on any fresh water, natural, or man-made bodies of water. The loud alarm will sound from the base receiver when the turtle comes in contact with water. The alarm will only go off once you reset it from the base receiver. You can buy additional sensors to expand the wristband. The turtle comes with a substantial battery life of 3 to 4 years. Can be expanded by purchasing additional sensors. Will need the use of key to remove the wristband so children cannot just remove it. Potential false alarms as the alarm will go off the instant the turtle or the wristband gets in contact with water. Does not come with a replacement wristband so you will have to wait for it to dry before you can use them again. 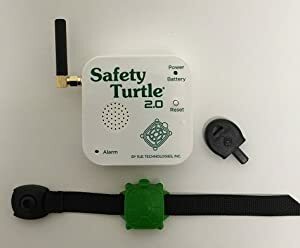 This turtle pool alarm is the closest protection you can give to your children when they are around pools. 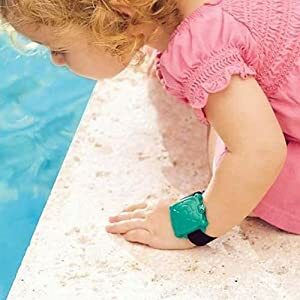 As the alarm will go off as soon as your child’s wrist gets wet. You can even put it on your pet. You can purchase several wristbands that you can use with one base system. You can take it anywhere with you during vacations. It is even compatible with salt water pools. It is not easy for children to remove. Allows you to closely monitor your children. One base system works with several wristbands. The plastic where the wristband slips may break over time. May cause false alarms as the alarm will go off as soon as the turtle and wristband get wet. Infrared sensors detect the infrared waves surrounding the specified perimeter of your pool. Infrared sensors can be identified as Passive Detectors and Active Detectors. Passive Detectors. Passive Infrared Detectors detect the infrared waves produced by a human body within the specified pool area. The four sets of detectors are mounted at the sides of the pool. The sensors can easily pick up the presence of infrared waves emitted by the human body that will trigger the alarm. False alarms are the common concern with this type of pool alarm. Because infrared waves are produced by different kinds of bodies, the detectors may not be able to tell them from the infrared waves produced by the human body. Even infrared waves coming from the sun can trigger the alarm. Active Detectors. Active detectors have a main sensor that produces infrared waves. The infrared waves are then reflected to the other three reflecting surfaces. The alarm will go off once the sensor finds a change in the reflected infrared wave. The main sensor and the three reflecting surfaces are mounted at the corners of the pool. The main sensor produces the infrared waves towards the first reflecting surface. From the first reflecting surface, the infrared waves are reflected towards the second reflecting surface. From there, the infrared waves travel to the third reflecting surface. The sensor will start an alarm if there is a change in the infrared waves received from the third reflecting surface. Once someone crosses the infrared wave path, the sensor will pick up the change in the reflected infrared waves and will then trigger an alarm. The issue of false alarms is addressed by active detectors as the main sensor is mounted a meter above the side of the pool. Provides a full pool perimeter protection. Is compatible with in-ground and above ground pools. May not work well with irregularly-shaped pools. May cause false alarms due to other bodies producing infrared waves. This type of pool alarm is triggered by any movement below the water’s surface. It uses underwater sensors that are set off by pressure changes due to waves and water displacement. 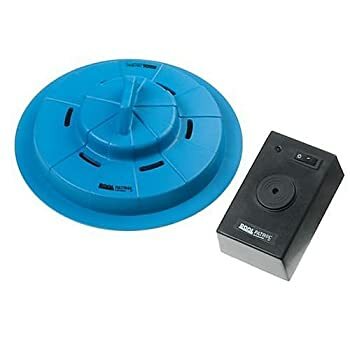 The two basic designs of sub-surface pool alarms are magnetic floats that rely on movements below its magnetic sensors and pressure-sensitive switch pool alarms that are installed at the side of the pool. More consistent in triggering alarms as compared with other types of pool alarmsbased on several pool alarm reviews. Does not need to be removed while you are swimming. Can be used alongside solar covers. May require installation at the side of the pool. May not be compatible with inflatable/soft-sided pools. A surface pool alarm floats above the water’s surface. The waves created by a fall can trigger the alarm. It works using an electric circuit that consists of two contacts. The first contact lies below the water’s surface while the second contact is above the water. When water gets into the second contact, the electrical circuit will be completed and the alarm will be triggered. However, strong winds, heavy rains, or falling objects can trigger the alarm as it is highly sensitive. Ideal for securing small pets as it is highly sensitive. Prone to false alarms because of it is highly sensitive. Needs to be removed when you are swimming. Wearable pool alarms work when the person or animal wearing it gets into the water. It sounds an alarm remotely. The wristband or collar is securely fastened to a child or to an animal. When the battery-powered sensor gets wet, an alarm will set off from a separate station. They come with a key-lock device that can prevent the removal of the band. Does not require set up. Works in all bodies of water. Can be brought during vacations. Provides constant protection to the wearer. May be prone to several false alarms as the alarm can be triggered once it gets wet. Non-wearers will not be protected. When looking for the best pool alarm, there is a number of things you may need to consider. But according to several pool alarm reviews, the features, placement options, and sensor technologies should be at the top of your list. It is also a good idea to have multiple sensors installed in your pool area. 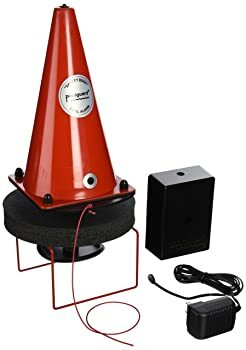 This will increase the safety of your pool, especially with small children around. Pool alarms come in different shapes and sizes, and these carry different features as well. The most basic features include a disable button and the option to adjust the sensor’s sensitivity. Some pool alarms can also turn off automatically as they are lifted out of your pool. Advance features include the pool alarm’s increased sensitivity as water is displaced or if the alarm is lifted from the pool’s surface. You can choose from several pool alarm systems available in the market today. Pool gate alarms are installed in your pool’s gate and the alarm will go off when the gate is opened. This is effective when there is only one entrance to your pool area. 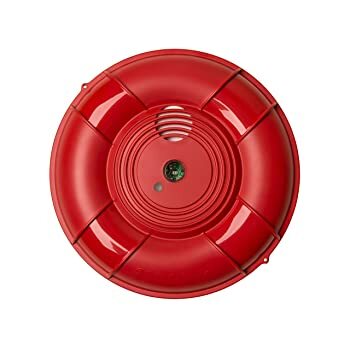 In-ground pool alarms are installed at the side of your pool and they are used to alert you when there is movement in the water or when the water’s surface is disturbed. Buoy pool alarms float on the pool’s surface and they will sound the alarm when the water moves. However, they may sound false alarms under strong winds. For added safety, you can use a mix of these placement alarms. Pool alarms are designed with different sensor technologies. Gate alarms are mainly designed with magnetic sensors whose alarm will go off as the gate is opened. In-ground pool alarms detect the movement of the water. 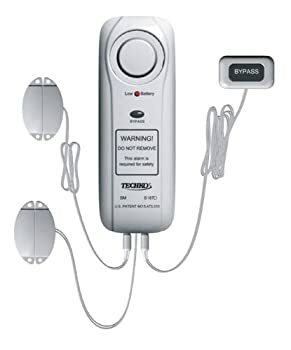 Highly sensitive sensors will go off when they detect any disturbance in the water, while some may require a certain amount of weight displacement before the alarm will go off. Pool alarms will help you get children, pets, and trespassers away from your pool. For maximum security, you will need to choose a pool alarm that will suit your pool. You may also need to look at some pool alarm reviews to see what will work best according to your specific needs. When it comes to pool safety, your best weapon is still caution. There are several pool alarms that can help you protect you family but exercising caution will be your best option. It may also help to combine several pool safety measures for your family’s maximum protection. It is always better to be safe than sorry.